Canonical still hasn't finished "converging" Ubuntu Linux across PCs, servers, phones and tablets, but it's now closer than ever with a new development release of Ubuntu Touch, which partners Meizu and Bq are using to build the open source mobile devices that should appear in the new year. 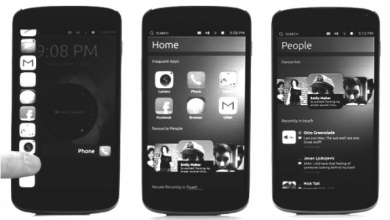 On Nov. 10, Canonical developers announced the release of version 10 of Ubuntu RTM. That’s the software Canonical’s hardware partners are using to test Ubuntu as they prepare mobile devices based on the operating system for the market. Have you seen the new indiegogo campaign for a tablet which will run either Ubuntu or android (at request). It’s called the ubutab. ‘Almost’ being the operative word here. Well I’ve got the money to buy one, as long as the phone is frontline technology and that maybe so if they deploy the Meizu MX4 Pro or another implementation of it with a 64bit SoC.